This is one of our favorite places in Alaska. The scenery is fantastic with all the snow covered mountains all around the city, many with glaciers on them. Also, we get the internet and TV here on our own antennas, which is amazing in itself. Each day the fishing boats come in bringing salmon, and often halibut, which we can get and put on the BBQ for dinner that night. The glaciers in this photo are the Davidson, low and to the left, and the Rainbow, higher up the mountain on the right. 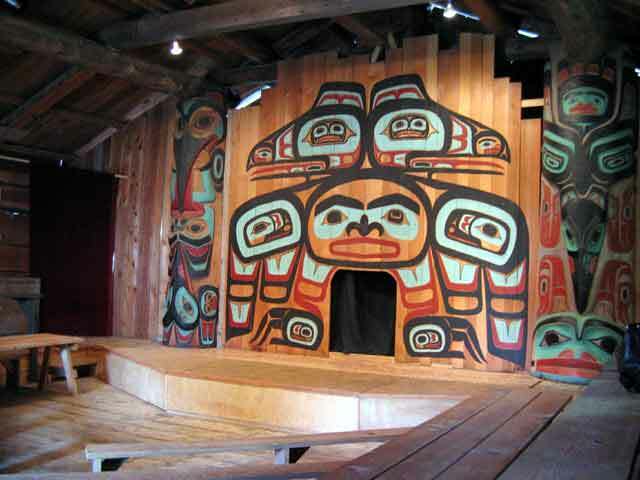 The Tlingit indians were the first people to call the Chilkat Valley home. 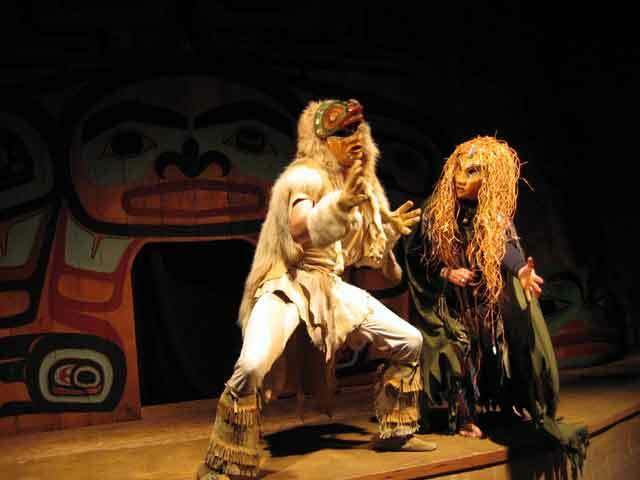 They created many sophisticated art styles, such as the Chilkat Blanket, the spruce root basket and many forms of wood carving. We went to a demonstration of some of their dances where all the players wore carved masks. 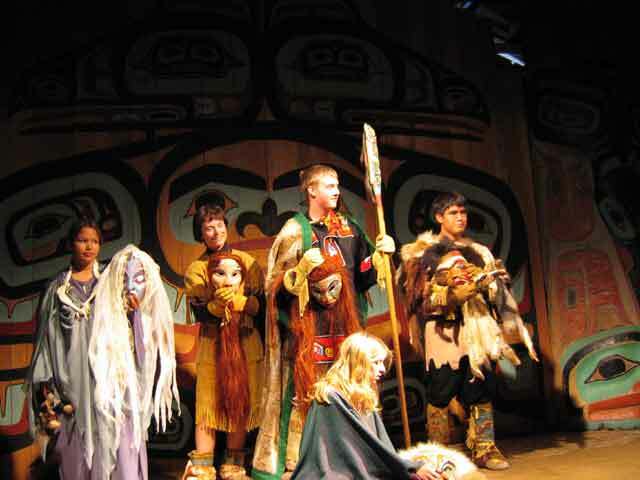 It was by the Chilkat Dancers at the Totem Village Tribal House on the Fort Seward Parade Grounds. 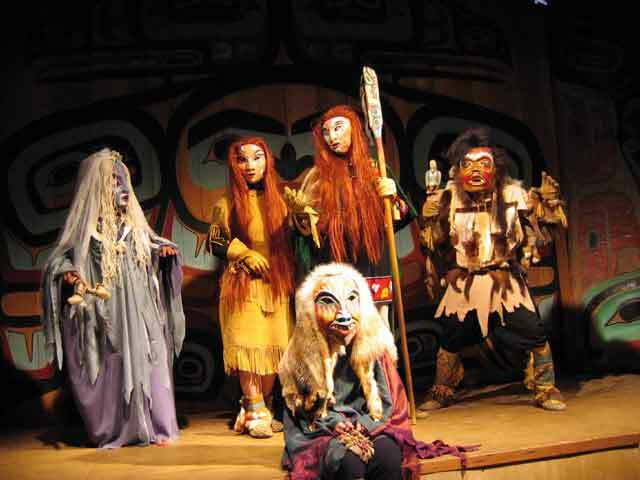 More information can be seen at the websites of the Alaska Indian Arts and the Sheldon Museum & Culture Center. 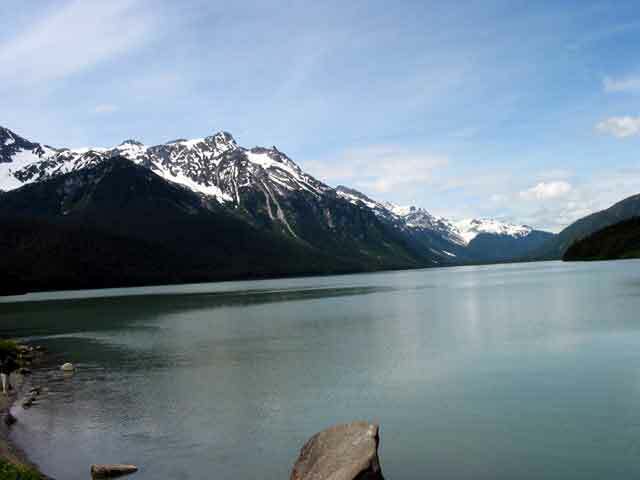 Chilkoot Lake is about ten miles east of Haines and is a good place to see bald eagles and sometimes mountain goat. The campground there is nice but has no hookups. 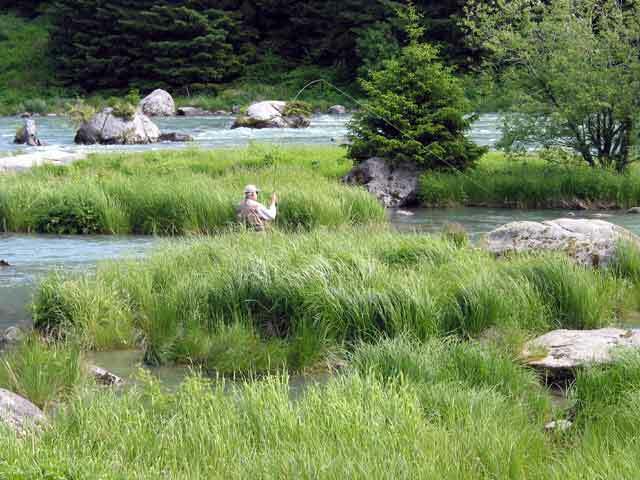 There is a short river that runs from the lake to the ocean that has a good population of Dolly Varden trout. Ted has a nice one on his line in the picture.